The writing has been on the wall for a while now for brick and mortar retailers. Growing pressure from online shopping sites has been taking big chunks out of their revenue year-over-year. Stalwarts of the department store industry have either gone out of business or drastically cut back on the number of stores they operate. Macy’s recently announced that they will be closing 100 stores and laying off 10,000 employees. Their holiday revenue was down 2.1% during November and December 2016. An accusatory finger for the demise of offline retailers is being pointed squarely at online shopping sites with Amazon.com being the prime offender. We can feel a tinge of sadness at these closings. For those of us of a certain age there is the pre-internet nostalgia of doing all of our Christmas shopping downtown or at the mall. More often than not, we avoid the mall with a vengeance during the holidays and only the fitter and more aggressive venture out to do battle for insane deals on Black Friday. The rest of us do our holiday shopping online from the comfort of our safe spaces. The vast majority of it conducted at Amazon.com – and not only during the holidays, but year round. For better or worse, Amazon being the world’s largest online retailer has also earned it the reputation as the lowest-price virtual shopping center. Brand recognition is a powerful thing and Amazon has it in spades. However, upon closer investigation, don’t assume that you’re always getting the lowest price when clicking the “Buy” button on Amazon.com. There are several factors contributing to this with the prime one being…Amazon Prime. For $99 annually, you are granted free 2-day shipping on any item from Amazon or one of their participating partners. There isn’t the stipulation that the unwashed un-Prime users are subjected to requiring them to spend at least $49 before the free shipping deal kicks in. Things get stickier when you begin using Amazon’s lowest price search feature. It seems that Amazon serves up differing results for Prime and un-Prime users. Shipping fees are often a significant component of an item’s net price and Amazon will omit the cost of shipping when price comparing as a Prime member. The converse is true when searching items outside of Prime, Amazon includes the cost of shipping in those results often making them appear more expensive. It becomes an apples and organs comparison and you can’t be completely certain that the Prime item is actually cheaper. Another factor that has been driving up the cost of products on Amazon is what is known as “retail arbitrage.” This practice has been around ever since eBay hosted its first auction. The introduction of Amazon’s Fulfillment by Amazon program has opened the floodgates to this practice on Amazon. This program allows third-party sellers to stock their inventory in Amazon’s warehouses and then leverage Amazon’s retail site and fulfillment services. The profit motive is strong among many of these third-party sellers have been known to jack up their prices to eye-popping heights. In general, Amazon’s opening of its platform to third-party sellers has been a good thing. It’s vastly expanded their inventory increasing competition, which in general, helps to keep prices lower for shoppers. Just be aware of the profit motive (greed) that exists when evaluating items from third-parties on Amazon. Perhaps the more insidious issue with Prime is that members are subconsciously pressured to spend more. Heck, free 2-days shipping on anything in the Prime program is hard to resist. In addition, Prime members receive free membership in Amazon’s streaming video service. I’ve been shelling at the 99 bucks for the past two years, and though I haven’t done the math, my hunch is that I’m lucky to be breaking even on the deal. There really isn’t anything too compelling for me to watch on Amazon Video and I’m not a huge shopper at Amazon. At least not the kind Amazon is lusting after with the program. Yet I still keep signing up because…free 2-day shipping! So how can you make sure you’re getting the best deal? Amazon is certainly a good place to begin your shopping, if nothing else than to get a lay of the land and check out reviews if you’re unfamiliar with a product. In some cases, Amazon may not have what you’re looking for. It’s always a good idea to price compare across several online retailers, especially when shopping for electronics. There are also price comparison apps that are available on mobile devices as well as browser plugins on the desktop. Shipping is often a big factor as previously mentioned, so be sure to compare the net price of an item across all sites you check which includes factoring in shipping costs. If nothing else, Amazon is a fantastic resource for honest reviews (for the most part) from enthusiastic consumers. Amazon was a pioneer in this practice and I find this to be the most valuable feature of their platform. It’s just a good idea to keep your defenses up and your Spidey senses sharp when consuming Amazon reviews. Not all of them are what they seem. Honest, helpful reviews where the customer gave the product a fair shot and either loved it or didn’t. For low-rated reviews, be sure to check if the manufacturer or seller chimed in to offer support. Defensive and even sometimes insulting retorts are never helpful from a seller. Motivated reviewers will sometimes even provide accompanying photos or videos to support their reviews. And always check that the reviewer has a “Verified Purchase” status. Honest, unhelpful reviews. This is the case where the customer is simply being an idiot. Sorry, I realize that’s harsh, but some people either go in uninformed about a product’s appropriateness for their application or they didn’t bother to read the instructions on how to use it once they received it. In many cases, these low-rated reviews are vastly outnumbered by the high-rated reviews. Dishonest positive or negative reviews. In the past there was a rash of fake reviews on Amazon, primarily in the Kindle books section. “Authors” would pay for or otherwise encourage 5 and 4-star reviews form outsourcers or from loyal friends and family. Amazon came down hard on this practice recently and it seems to have subsided. But where there’s a profit motive (greed) it will continue to occur. Most other online retailers also have customer reviews, but they vary by number and quality and I’ve found that most can’t hold a candle to Amazon’s customer reviews. This why you’d be advised to begin your shopping initiative at Amazon if only to check out the reviews. Then compare prices across sites. Online forums around a specific subject are also good places to seek out honest product reviews. Online coupon codes are big business and can often save you some nice coin when shopping online, however, you’ll have to redeem these coupons at sites other than Amazon as they don’t participate. 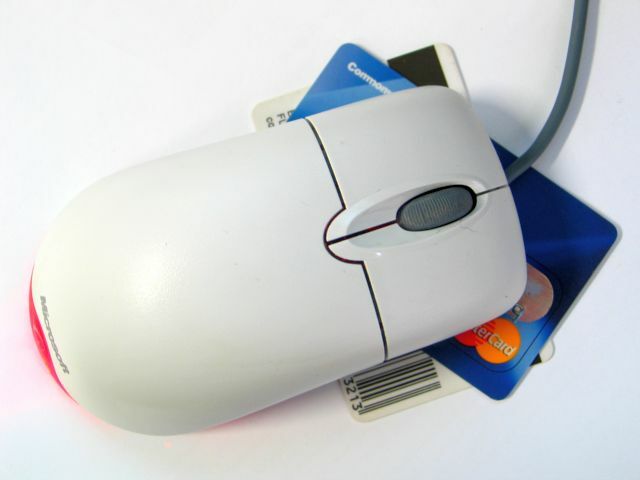 Sites such as ebates.com, RetailMeNot.com and FatWallet.com are the major online coupon sites. When shopping at online retailers other than Amazon that offer things such as automotive parts, electronics, clothing, housewares, home and garden products, and domain names and web hosting, be sure to check if there’s a current coupon code you can apply at checkout offered by the online retailer – often times there is. We’ve come a long way since the early days of e-commerce when many people were terrified of entering their credit card info online. Data security is certainly still something to be wary of, but with so much revenue at stake, online retailers can’t afford a reputation hit resulting from a data breach such as what occurred at Target in their offline stores. I probably didn’t do a great job in framing the takeaway message here and if there is one, it should be: do your homework and trust but verify when it comes to getting the best price and reliable product reviews. This is the key maxim that I’ve attempted to weave through this entire series of posts. Next up: Become an expert on any topic using online training and tutorial sites.